We are all familiar with the awesomeness that Tron was. With its bright orange and blue lines, it simply looked like the future. Well, thankfully, to a new Kickstarter campaign, you can turn your mundane helmet into something spectacular. And very Tron-like. Introducing LightMode Kits! These LightMode Kits come with a variety of features, most importantly though, is that they have the ability to make your ordinary helmet into something that is pure awesomeness. New and improved, these LightMode Kits offer more of what you want and need. LightMode gives you the ability to add two different kits for two different colors. These individual kits can also be controlled via their independent controllers. 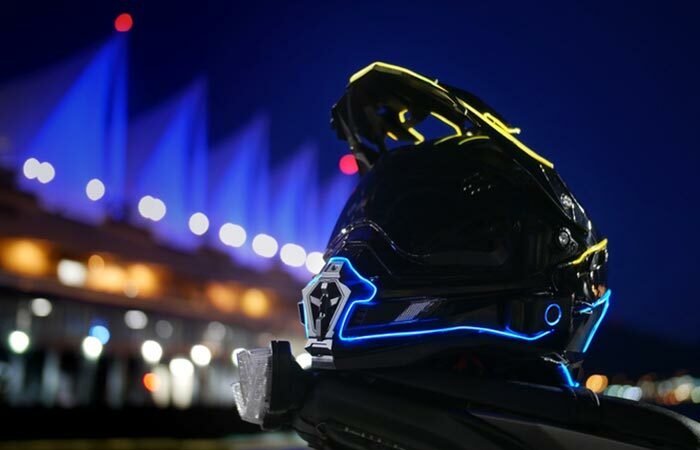 LightMode Kits allow you to turn your helmet into a piece of nocturnal art. Essentially, they are electroluminescent lights that can be molded and sculpted into any shape or form. 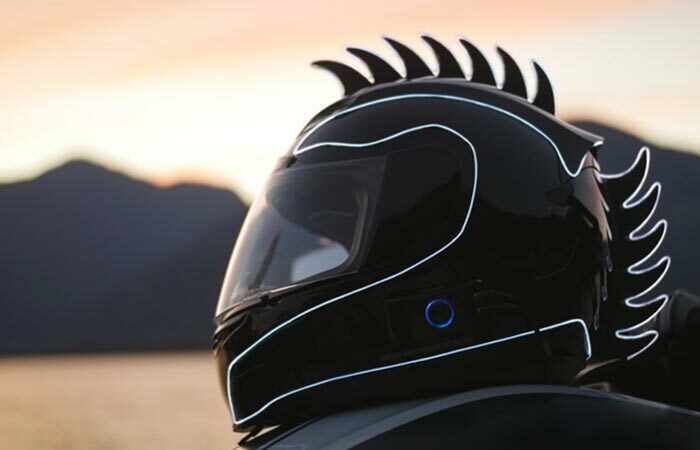 They work via small, aerodynamic LightMode controllers that are clipped onto your helmet. 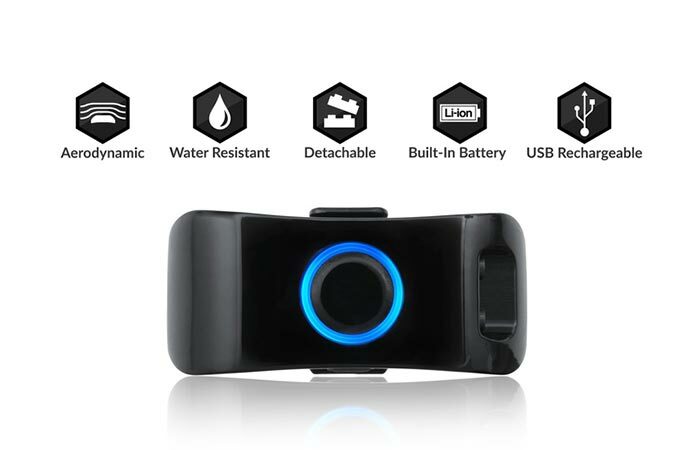 These controllers are water resistant and require no batteries since they come with built-in Lithium Ion batteries that can be charged via USB. Check out the video below. The controller comes with a variety of features. Another interesting feature is the fact that you can attach two LightMode Kits to your helmet for a variation of two different colors. 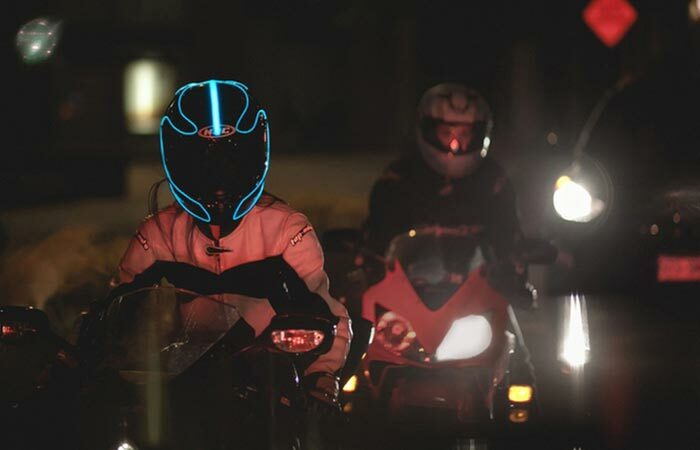 In addition to this, LightMode is compatible with any helmet; from motorcycle helmets, to bicycle helmets. If it can fit on your head, you can add a LightMode Kit on it. The LightMode Kit comes in two different forms – The Electron S and The Proton S. The Electron is thicker while the Proton is finer. If you want to get it at a reduced price, you better jump now, because LightMode’s Kickstarter campaign only has 2 days left!